Are you even a real superstar fan if you missed out on these references? From the moment buzz began about director Karthik Subbaraj working alongside superstar Rajinikanth in his next movie, the filmmaker maintained that his final product will be an ode to the the actor. He even went on to proudly proclaim himself as a fan who was merely attempting to pay rich tribute to the superstar of the 1990s. With this information alone, it was apparent that the mannerisms and style associated with Rajinikanth through his four decades in the industry would be used liberally across the movie. But what the director didn't tell us was that he would actually be borrowing even shots and themes from the star's earlier movies. And as we watch Petta, the fan in each one of us is soon playing a guessing game, figuring out which scene was influenced by which superstar hit. It's not for nothing that even before Rajini appears on screen, we hear the song 'Vantha naal mudhal, intha naal varai' - it suggests that we're about to watch Rajini from those days and until now. 'Kaali' as Rajinikanth is called in Petta, is itself a name that he was given in one of his first outings as a hero - Mullum Malarum. In the 1978 film, Rajinikanth played a troublemaker who occasionally does good deeds for his community. It was a time when Rajini was transitioning from a villain to hero and he almost always retained a few grey shades in the characters he played. And in Petta, when Rajini constantly says, 'Nallavana irakunam, aana rombo nallavan iruka koodadhu' (Be a good man but don't be a too good man), it almost seems like a reference to his own cinematic journey, where he has never hesitated to strike back at those in the plot who have given him grief. Director J Mahendran, who fought with producers even as a debut director to have Rajinikanth cast in Mullum Malarum, makes a brief appearance in the film. This time, fighting to keep his daughter safe from the violence of caste discrimination. 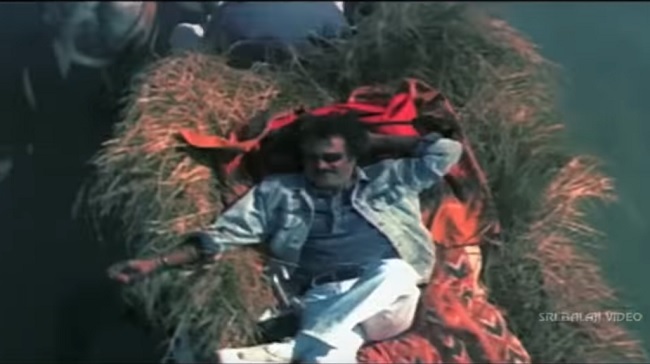 Rajinikanth's multiple entries throughout the movie were also clearly borrowed from his previous outings. Like Dr. Saravana in Chandramukhi hailing down a bullock cart to take him to his friend's home and solve the latter's problems, Kaali takes a ride in a truck carrying pomegranates to reach the boys' hostel and handle the issues that crop up there. And then there was the opening of the gates with a flourish, an iconic scene reminiscent of the stylish Rajinikanth who swaggered in - into the shot and our lives in Aboorva Ragangal (1975). As he strides into the hostel to get his appointment letter, the scenes make us recall Baasha, where he knows his reputation from the past will secure him the desired outcome. 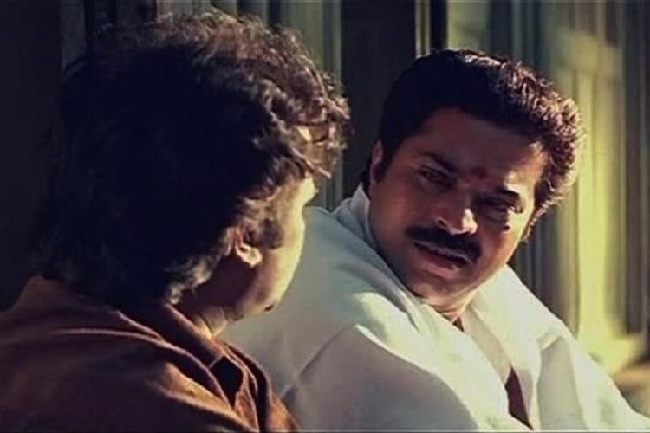 Having said that, the movie itself is mildly based on the 1995 superhit which saw the actor playing the role of Manickam, a Bombay don who gives up a life of crime to become an auto-driver. And while Kaali clearly doesn't intend to give up on anything, it is obvious that he is lying low and trying to recover from a past that has left him scarred. And just before the interval, we start to learn of what this is, through a flashback starring his best friend, Maalik (M Sasikumar). And who does Kaali want to save in Petta? Maalik's son, whose name is Anwar! And Anwar, as most of us will remember, was the name of Rajini's best friend in Baasha. 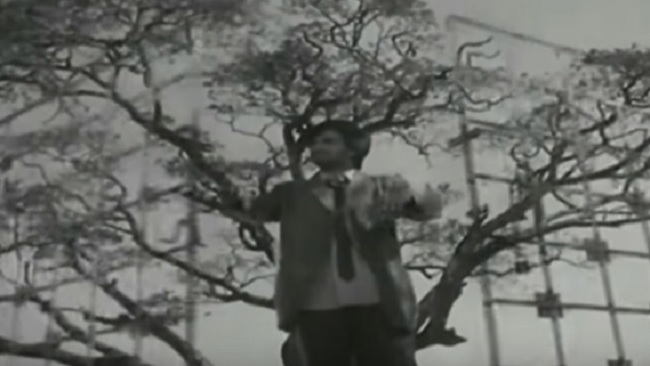 As Rajinikanth, jumps atop a car, with a board reading 'Muthu watches' behind him, the message is clear. Even the smaller scenes, the light comic moments, are borrowed from some of the actor's greatest hits. The 'paambu paambu' comedy, which is a trademark Rajinikanth joke, and Chinni Jayanth's 'Aaaaan' outside Simran's house which is from Raja Chinna Roja (1989) immediately evoke laughter from the audience. Not because it particularly fits into the current film but because of the magic it created in the actor's previous movies. His dance too, comprises the all familiar hip movements that have become synonymous with his songs. Take, for instance, two important fight scenes in the first half - the one in the market and the one in the hostel - both had references to action scenes from Rajini's filmography. When he says 'You guys are still like this, one bald man and one semi bald man', it is clearly a throwback to Rajadhi Raja (1989) where Rajini fights a gang of goons without even allowing a single blow to land on him. And before the larger fight in campus, the martial arts display takes us back to Paayum Puli (1983). As he walks through the corridor of the hostel, asking students to go back into the rooms before the violence escalates, a firm 'Ulle Po' takes you back to the electric Baasha scene that left you with goosebumps. Even the lighting that follows for the action sequences is reminiscent of the subdued tones used by director Mani Ratnam in Thalapathi (1991). Kaali/Petta, as Maalik says in the film, was found floating down the river - much like Surya in Thalapathi. Further, the confusion about Vijay Sethupathi's parentage and his subsequent turmoil also remind one of the 1991 movie. Things, in fact, get pretty literal in the climax with Rajini dancing to 'Raman aandalum Ravana aandalum' from Mullum Malarum, clearly taking us all back to the year his stardom began. And with an open ending to the movie, where a gun is fired (similar to Kabali (2016)), director Karthik Subburaj ends this ode to the superstar with a bang.